Crews have successfully completed the restoration of the north end of the existing East Platform. It will be reopened beginning as early as Saturday, February 2, 2019. Kennedy Station is an interchange station with connections to the GO Transit Stouffville Line, the TTC Scarborough RT, the TTC Bloor-Danforth subway, and a TTC bus terminal. Construction of the Eglinton Crosstown LRT Kennedy Station will include upgrades to the existing Kennedy Station infrastructure. As part of the GO Transit improvements at Kennedy GO Station, crews have successfully completed the restoration of the north end of the East Platform. It will be handed over to GO Transit beginning as early as Saturday, February 2, 2019. Beginning as early as Saturday, February 2, 2019. Time: As per GO schedule. Duration: As per GO schedule. East GO (north end) platform handed over to GO Transit. Reopening of the north end of the East GO platform at Kennedy GO Station. There should not be impacts to traffic and pedestrians from this work. 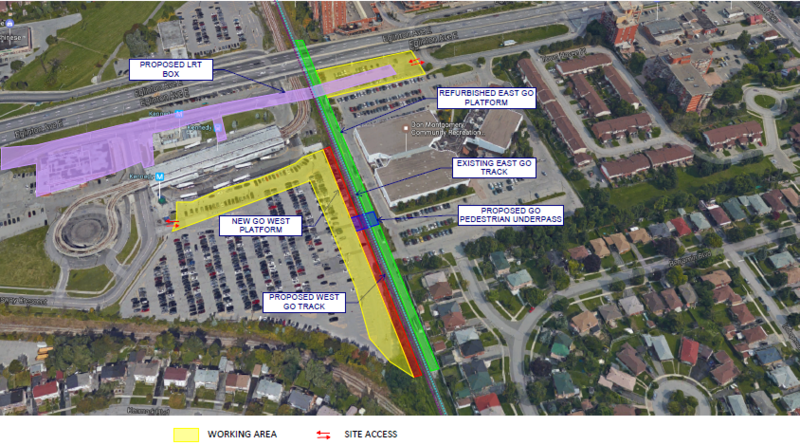 The existing set up within Kennedy Station will not be changed. Please listen for GO Transit announcements for where to board and exit train.